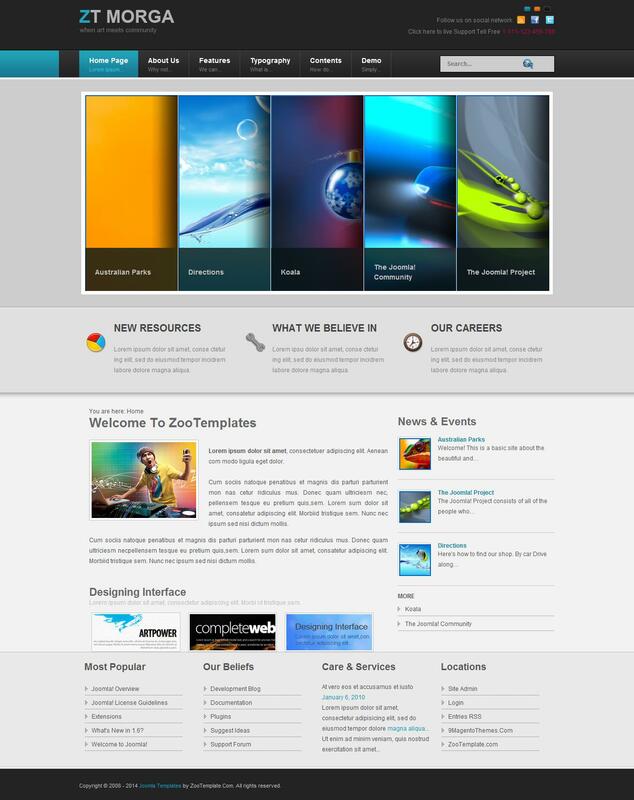 ZT Morga - excellent template from the studio ZooTemplate, has 3 color schemes, well optimized css, mega menu. Template settings let you change the background color options, sizes, fonts, menus and more. Integrated support for K2 component allows a convenient way to manage site content. Archival sources and a quick start.